The custody of infants is always given to the Mother: We all are quite familiar to the new law that was announced a few months ago which state that divorced Saudi women can directly get the custody of the children by simply submitting a request to the relevant court. The court provides the custody of the children to their mother for their positive brought up. No matter whatever the circumstances a mother might suffer but she will always prove a symbol of love and mercy for her kids. She tortured them to avenge her husband: However, in this case, a mother who is said to be a protector of her kids became their enemy in order to take revenge on their father. This is indeed shocking. I watched the video and was shocked to see how a mother can be too cruel to hurt her 7 months old kids. Recently a video started circulating showing a mother hurting and beating her own kids. The video was recorded and posted by the women herself which alarmed the ministry of labor and Social Development immediately and they interfered to take the seven months old twin babies into their custody. The father who was a Yemeni was questioned to which he answered that he divorced his twin’s mother and she abused his kids in an urge to take revenge from him. The video which went viral showed a woman, sorry to say her a mother chocked one of her babies until her face turned pale and threw the other baby on the ground head down. The Custody was given back to the Father: She is a mentally ill woman. No mother could feel herself relax while her kid is in pain. The twins were moved to Jeddah hospital for their complete medical check-up and the mother was arrested. The twins Joury and Joud and were handed to their father’s relative by the officials. Why did he divorce her? The reason for the divorce was that his ex-wife made impossible demands and it was impossible for him to meet her demands because he was a Yemeni National who lost his job and his residency documents also got expired. She abused me and also degraded me several times. It was unbearable to lead a life with her and I divorced her after a year of our marriage, the father said. His ex-wife recorded this video and sent to his ex-mother in law in Yemen. The old lady was shocked to see this and sent this video to his son. Viral Video: The father was also shocked to see his daughters going through this horrific treatment. Their mother totally went mad and violent just to hurt him. 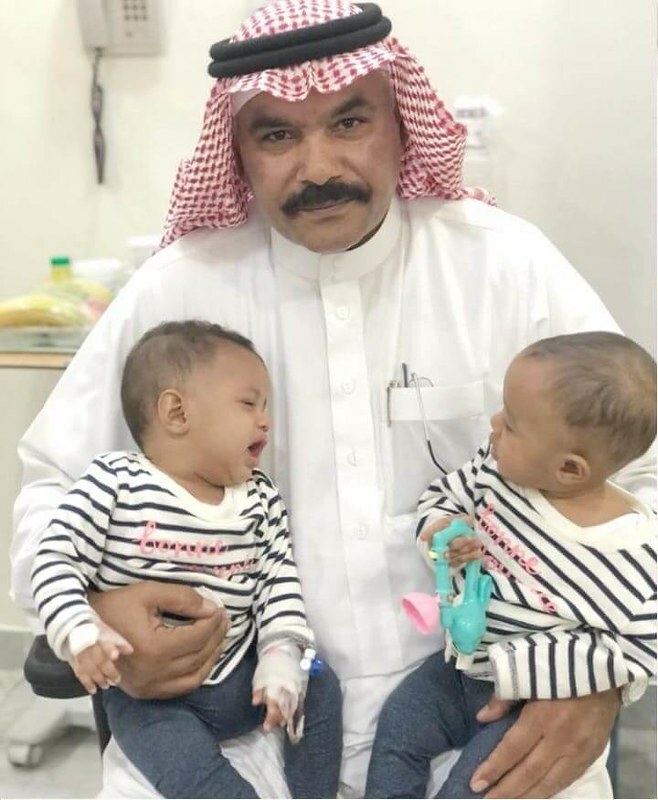 The Director of the National Society of Human Rights in Jeddah said our society had been following up the case of the two twin sisters. We are making efforts to provide them complete care at the hospital and two experts are left with them to provide them complete protection.